Sistina, Brian Kenneth Swain’s gripping and thought-provoking new novel, is a story two thousand years in the making. The events set in motion following Christ’s crucifixion build to a crescendo during the Italian High Renaissance and will test the faith of the story’s historical and modern-day characters, as well as that of readers. When a violent earthquake damages Michelangelo’s magnificent frescoes, a team of experts undertakes the Vatican’s most important restoration in centuries, only to discover a perplexing secret hidden for five hundred years beneath the chapel’s plaster ceiling. The message, both cryptic and incomplete due to the rash actions of a tourist at the time of the quake, baffles the team and awakens the attention of a small group of powerful men—men who have waited centuries in the shadows, hoping for the elusive clue that will lead them to Christendom’s ultimate artifact. It is a tale of murder, revenge, ecclesiastical connivance, and ancient secrets—all constructed on an elaborate foundation of religious history, political intrigue, and technological wizardry. 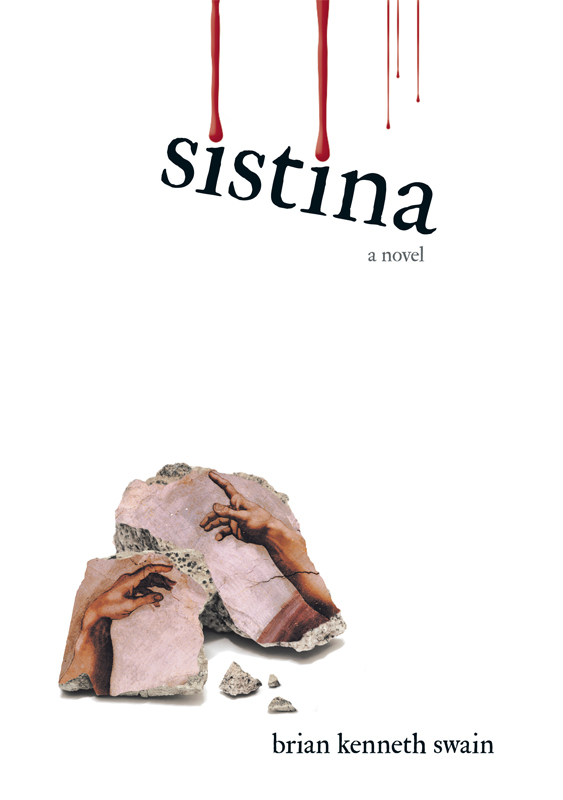 Sistina, Swain’s most controversial novel to date, will leave you breathless.